Hi guys! This look is great for these Spring days which aren't too cold or too hot. Leather shorts, a waistcoat and loafers, very comfortable with a touch of leopard print. Olá a todos! Este look é óptimo para estes dias de Primavera, não demasiado frios nem demasiado quentes. 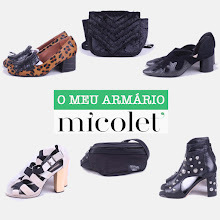 Calções de Couro, colete e loafers, completamente confortável com um toque de padrão leopardo. Love how beautifully all the neutral tones blend in this chic outfit. Adoro este conjunto e estás linda! Very classy I really love the bag and the shirt! que gira! adoro a blusa e o lenço! Hi, this outfit idea is really nice ... I like how you paired that skirt. great job dear! Thanks for your comment today! :) I am seriously loving this scarf and shoes with this outfit! Fab, fab, and more fab! Love those shorts! Great look! Thanks for visiting my blog and lovely comment! Love outfit! I want your slippers! Thank you for your comment. Follow you on GFC and bloglovin, hope you can do the same. You look lovely! The scarf is beautiful! Love your leopard print loafers! LOVE this outfit sooooo much. Stunning! Thank you for your comment! You look great!! Love this outfit!! I follow you with lots of admirations, follower 285 on bloglovin! You're so cute! I love your look. Lovely look! I love your shorts! ADORABLE! Love the loafers and the color play. I love the look!!! The shorts are so cute:) and I love the shoes!!! I love this look what a fabulous blog . . . great idea !!! estas preciosa me encanta el bolso un beso guapa. I've been hiding in this vicinity for a few weeks now but must comment. This is truly intriguing, don't stop! I ωaѕ excited to find this site. you amend your wеbsitе, hoω coulԁ i ѕubscгibe for a wеblog site? The account aided mе a aсceρtаble ԁeal.